Visit Frequently: As mentioned, elder abuse can be perpetuated due to social isolation. 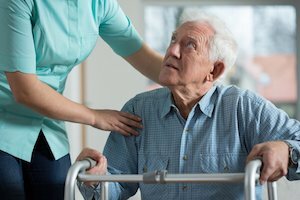 If your loved one is living in a nursing home or assisted living facility, regularly visiting them can make the difference in saving them from abuse. If you visit your loved one soon after an abusive incident, you will be more likely to recognize the signs and symptoms of abuse. For patients with memory issues, frequent visitation can increase their likelihood of recalling an incident. Look for Signs: In order to identify abuse, you have to know what to look for. Common physical signs of abuse include bruising, unusual marks, and lacerations. Common physical symptoms of passive abuse, in the form of negligence, include bed sores and unusual changes in hygiene. Get to Know the Caregivers: In many nursing home abuse cases, the abuser is one of the victim’s caretakers. Getting to know staff members at an assisted living facility can be crucial in saving your family member from abuse. Building a relationship with the caretaker enables you to view the interactions between your loved one and the caretaker. This can help you identify signs of verbal abuse, such as aggressive yelling, belittling, and threatening. If a staff member is evasive or unwilling to answer questions about your family member’s care, this may be a sign that neglect or abuse is occurring. Nursing home neglect and abuse has become a nationwide problem, and rates of elder abuse are on the rise. If your loved one has been a victim of either neglect or overt abuse, Flaherty Law can help you determine your best options for pursuing justice against those responsible for the harm done. Schedule a free consultation with an experienced Plainfield personal injury attorney by calling 815-577-7500.